When you travel and need your laptop, the biggest disaster that can happen is your laptop bag is stolen. Of course, THAT is where your backup is right? Admit it! But with these clever devices, the backup is always on you and can't be stolen unless someone takes the shirt right off your back! They are available here and could really save you if you bag is ever lost. I've been lecturing on lasers for about 10 years now. I love teaching the science and the nuances beneath the sales pitches and sales literature. Lasers are amazing devices and they are changing the practices of doctors who use them and patients who receive the treatment. The Deka unit performed admirably. 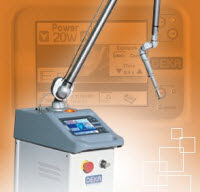 It is a CO2 unit which has an affinity for water and bone, but it's first and foremost a soft tissue laser. It comes with a variety of handpieces and tips that allow fairly easy access to anywhere in the oral cavity. 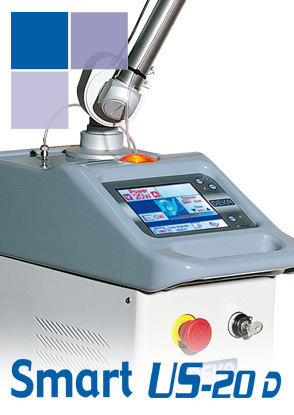 It is a "non-contact" laser which means you don't have to touch the tissue to get results. You can affect the tissue from a fairly good distance away. The unit comes with a fully adjustable firmware package that lets you set the laser to pre-programmed settings or to use your own. It even offers a pulsed mode vs. continuous wave. I watched a frenectomy, biostimulation of inflamed tissue, and a treatment of perio pockets. After the observation, we cut on some pig jaws so that I could get the feel of it. It was a short learning curve for me so we moved into live patient treatment. I performed a maxillary frenectomy in less than 5 minutes with no bleeding and only 9mg lidocaine with .0045mg epi. If you are looking for a soft tissue laser that can perform a variety of soft tissue procedures quickly, then give the folks at Deka a call. Being the diehard I am, I'm starting out the Memorial Day Weekend with a course on the Deka Smart US20D CO2 Laser. Later this morning I'll be at the office of my good buddy Dr. Terry Myers in Belton, MO for a lecture and hands-on time with the device. 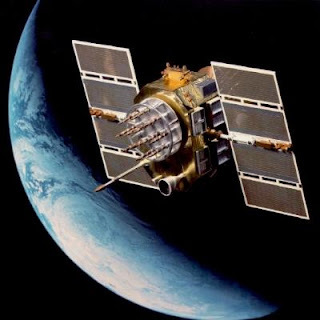 The GPS (Global Positioning System) has become a little like air or sunshine these last few years... so common and ubiquitous that you don't even think about it. The other day, I got in the Tahoe and it took about 1 minute before the system could lock onto the satellites and I remember thinking, "This is taking forever. What is going on?" We've all (or most of us) have become so reliant on the system that we don't even think about it. Cell phones, cars, UPS, even the watch I wear when I run can access the satellites for instant location services. Now the system is getting an upgrade that will make it much more accurate and much more reliable. It will cost 8 billion dollars, but when you really think about what it does, the world cannot do without it. For a great article on the service and the upgrade, check out this article in the LA Times. 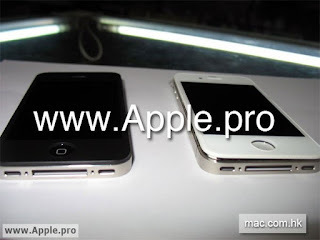 Although I can't confirm anything, because after all it's Apple and who can really ever confirm an Apple rumor? Website Apple.pro is showing a white iPhone that is supposedly the next version of iPhone (4.0) that is due to be announced in a couple of weeks. Is it real? Hard to say, but it sure looks real. Of course with photoshop, anything can. OREM, UT—Curve Dental, developers of Web-based dental software announced the launch of Why I Bleed Orange, the personal blog of Matt Dorey, the company’s Founder and Managing Director. The blog’s address is www.mattdorey.com. Dorey’s blog is a personal journal chronicling his travels, meetings, observations, and discussions with dental professionals from all over. “I travel all across North America and spend a lot of time in dental practices visiting with doctors and staff,” said Dorey. “I’ve been honored to eat dinner with the family, spend a night in the guest bedroom and experience the dentists’ needs, stuff you won’t get by sending a customer survey every year.” The title of the blog, Why I Bleed Orange, references Curve Dental’s choice in corporate colors. Curve Dental plans to launch a company blog that will involve all of the company’s employees, include guest writers from key opinion leaders within the dental profession and provide company announcements and news. Every employee will be given the opportunity to contribute to the blog. The company is also working on a Facebook page. The company blog and Facebook page will be launched in June 2010. The company has a Twitter account and frequently posts messages on Dental Town. Founded in 2005, Curve Dental provides web-based dental software and related services to dental practices within the United States and Canada. With Web-based software, the dental practice can improve efficiencies, increase productivity and realize work and lifestyle goals due to the software’s flexibility. The company is privately-held, headquartered in Orem, Utah with offices in Calgary, Canada and Dunedin, New Zealand. 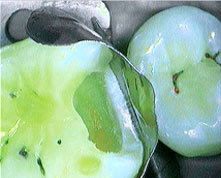 Dentists can call 888-910-4376 or visit www.curvedental.com for more information. It seems like only yesterday that I was in dental school hearing one of my last fixed prosthetics lectures. The professor was talking about this machine that was being tested in Germany that could take pictures of teeth and then mill out a porcelain restoration. I remember him saying, "We don't know for sure, but there may come time before you retire that you won't need to take an impression." My first thought was "I've got to get one of those!" Charlotte, NC (May 20, 2010) - Sirona Dental Systems, LLC is celebrating the 25-year anniversary of its CEREC® CAD/CAM system with a three-day CAD/CAM extravaganza geared toward all dental and laboratory professionals. The milestone CEREC 25th Anniversary Celebration (C25) will take place August 26 – 28th at Caesars Palace in Las Vegas. Participants can earn up to 18 CE credits while enjoying CAD/CAM-focused workshops, premium entertainment, and plenty of memorable celebrations among luxurious accommodations provided by Caesars Palace. Following Sirona’s “CAD/CAM for Everyone” philosophy, the CEREC 25th Anniversary program offers an extensive list of CAD/CAM courses for the entire dental team. Programs include clinical techniques, practice management, marketing, hygiene, and hands-on workshops. The celebration is open to all who want to advance their CAD/CAM education and experience. Attendees can also explore the C25 exhibit hall showcasing top dental companies and their products and services. • Mr. Ingo Zimmer, and many more! Celebrity entertainment includes appearances by Olympic Gold Medalist Rulon Gardner, the Second City Comedy Troupe, and five-time Emmy® Award winning comedian and actor Dennis Miller. Attendees are also invited to celebrate in style at the sophisticated WHITE PARTY taking place at Pure Nightclub on Saturday night. The WHITE PARTY promises to be the hottest dental event of the decade! An “Entertainment-Only Pass” is also available for a spouse or guest who chooses to attend social events only. • Sign up in May & June: Bring along 2 staff/lab personnel members at regular tuition rate and get 1 staff member free! For more information and/or to register for Sirona’s CEREC 25th Anniversary Celebration, please log onto www.CERECVIP.com, or call 877-360-6275. Genius is the kind of company that makes great niche products. The kind of things we all could use, but we don't always realize it. Then we see the product and say "where has that been all my life?" This latest announcement from the company comes just as summer is about to start. Now that we're all carrying digital music, it's great to have a way to share it with others at barbecues and the pool. MIAMI (May 19, 2010)– Genius (www.geniusnetusa.com), a brand division of KYE Systems Corp., today announced new additions to the company’s extensive line of speaker systems, the SP-i150 and SP-i160 Portable Speakers with eight hours of built-in battery life and a 1.25 inch metal driver for greater sound than the average laptop. The Genius SP-i150 portable speaker has a flying saucer design that’s fashionable and easy to carry. The SP-i160 model has an adjustable design to expand the sound field. 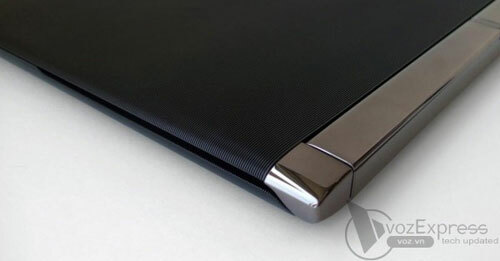 Both models include up to eight hours of battery life and are easily charged by any PC or Notebook’s USB port. No power adapter is needed to enjoy music at home or on the go, making these small but powerful speakers perfect for upcoming summer outdoor activities! The SP-i150 and SP-i160 Portable Speakers may be used with a notebook, Netbook, iPod, MP3/MP4 player, and CD player with a 3.5mm audio plug. 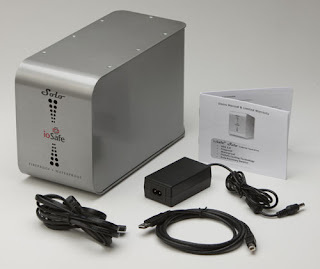 The SP-i160 model includes a mini jack converter that can be used with audio devices with a 2.5mm socket as well. Features for the SP-i150 and SP-i160 Portable Speakers also include a LED power/charging indicator, a quick-charge USB cable and a travel pouch. Both models are available in black or white and attractively priced at MSRP USD $24.90 (SP-i150) and $29.90 (SP-i160). The speakers begin shipping in May. 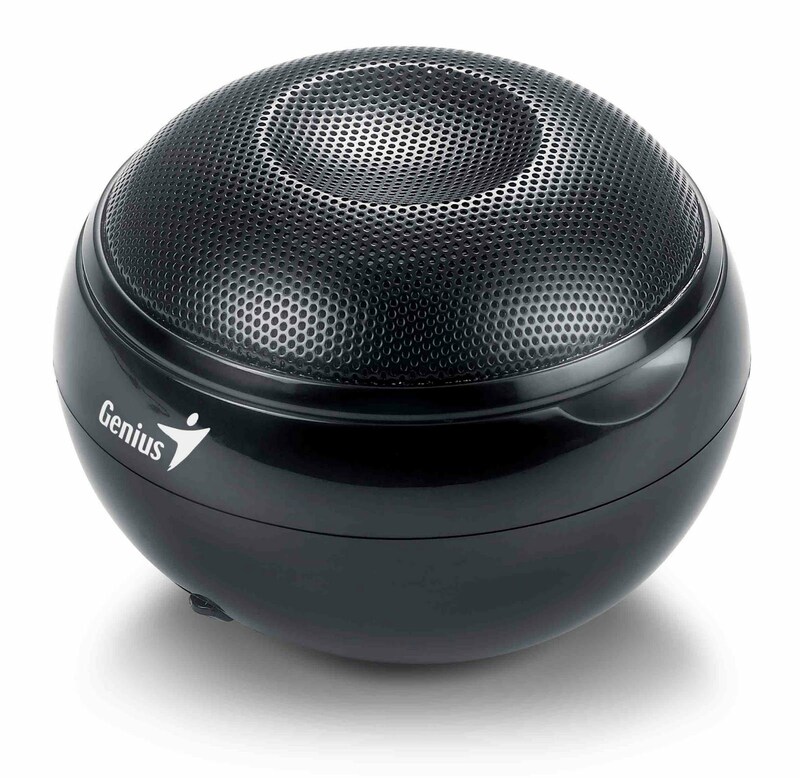 Interested shoppers can go to New Egg.com, Amazon.com, Tiger Direct, Buy.com, geniuseshop.com or for more information on the entire line of Genius speaker systems and other retailers and distributors please visit: http://www.geniusnetusa.com/. I can remember back in the day when having access to a couple of weeks of your schedule on your then state of the art Palm Pilot was a huge deal. Now with the continual growth in mobile access on multiple devices, it's no longer just a static screen you can look at... you can access tons of your data while on the go. 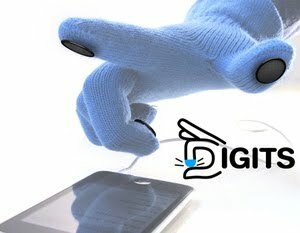 Dentrix made a big splash at the CDA this last weekend with the official release of Dentrix Mobile. This product is designed to keep doctors and staff in contact with the practice from anywhere and with almost any mobile device, including the iPad. MELVILLE, N.Y., May 14, 2010 – Henry Schein, Inc. (Nasdaq: HSIC), the largest provider of health care products and services to office-based practitioners, announced today the launch of Dentrix Mobile, a remote access tool that allows dentists to view their appointment schedules and patient information from their smartphones and mobile devices. Launched at CDA Spring in Anaheim, Dentrix Mobile is a new feature of the Dentrix G4 practice management system that provides dentists who are away from their practice secure access to the schedules of all their practice providers and patients, as well as important patient details such as prescriptions and medical alerts. 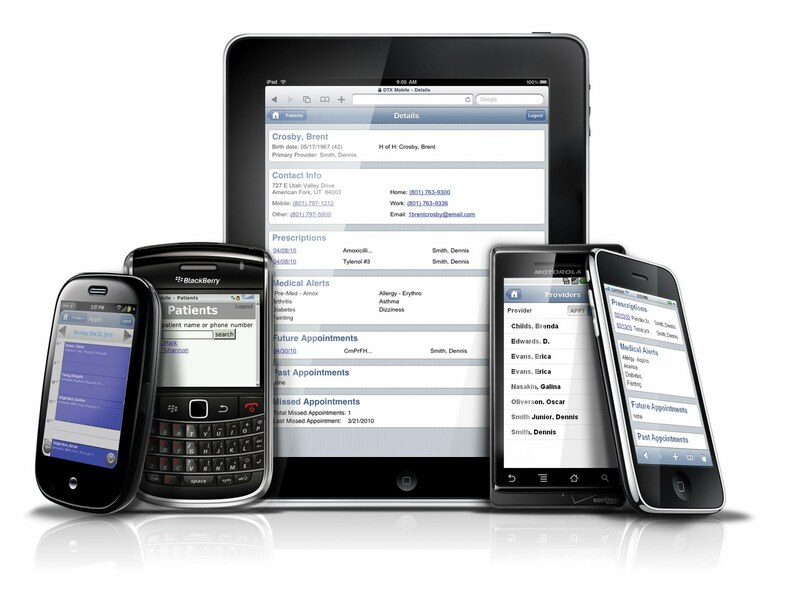 Dentrix Mobile runs on the latest smartphones and mobile devices, including BlackBerry®, iPhone™, iPad™, Palm Pre™ and Android™. Dentrix Mobile’s security protection involves password-protected access to the information stored on secure Dentrix Web servers managed by Henry Schein Practice Solutions. Dentists use their smartphone or mobile device to access the server in the same way they use a Web browser to conduct their online banking or purchasing. Dentrix Mobile is available to Dentrix G4 users on a current Dentrix Customer Service Plan at no additional cost. To learn more about Dentrix Mobile call 1-800-DENTRIX or visit www.Dentrix.com/mobile. Well, the CDA meeting is now in the history books and I'm back in the Land of Oz again. This year's CDA was a big success with lots of attendees and tons of booth traffic. At this meeting, I was in the Gendex booth talking to folks about the tremendous benefits of 3D cone beam technology and the Gendex GXCB-500HD in particular. Traffic on both Friday and Saturday was very good. Vendors I spoke with reported very good traffic and the aisles were consistently filled until closing both days. Sunday was less well attended, but the show was only open from 9-2. Lots of innovation is taking place in dentistry. I saw a demo of the new Dentrix Mobile that allows a secure way to access lots of practice info over the web via a portable device. 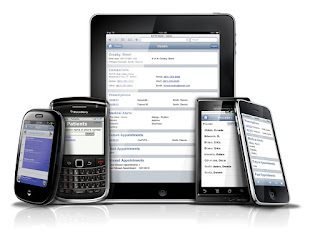 It's more than getting a peek at your schedule, Dentrix mobile allows your iPhone, iPod Touch, Blackberry, etc to access certain types of info via a secure Internet connection. Guru patient education software has changed greatly and is offering lots of new animations as well as lots of ways for doctors to use Guru, including an "al la carte" menu that let's the doctor choose & pay for only the animations they want. Guru has continued to evolve since its early days and now even offers the option of running it "in the cloud" so that all animations come in over the Internet with no need to install software. It's this type of forward thinking that keeps Guru at the leading edge of patient education. DoctorBase is also adding new features such as their Panda software to help you keep in touch with your patients. 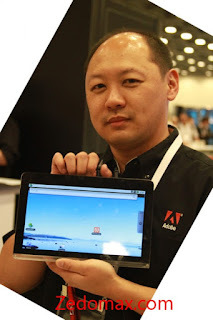 I saw lots of programs touting integration with the iPad and more cloud computing is on the way. Curve Dental is continuing to expand their online cloud computing model and will soon have an amazing announcement about something that every office needs and it will be... free. So, that about wraps it up. 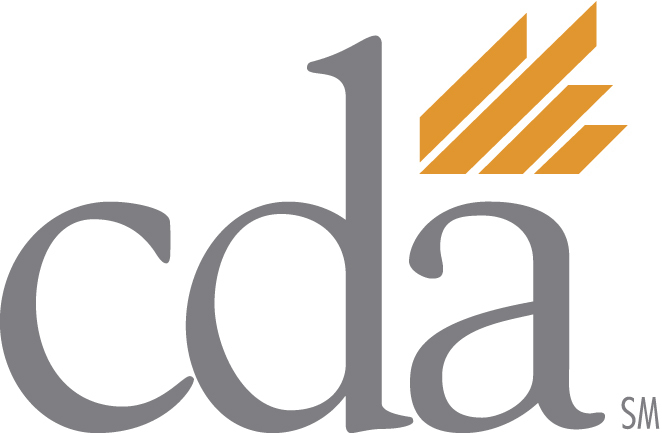 Thanks to everyone at CDA who was nice enough to spend some time with me explaining their products. As an adjunct to yesterday's afternoon post, The GXS-700 sensors from Gendex are now officially available. I've been lucky enough to be using the sensors on a daily basis for a couple of weeks now (ah the benefits of being the Gendex poster-boy!) I can tell you from personal experience that there is no better image on the market! The straight USB connection with no box is great and makes things streamlined. Despite the fact that I have several different brands of sensors in my office, the rest are now gathering dust as the staff fights/waits over the use of the GXS-700's. If you are in the market for a digital sensor solution, you owe it to yourself to take a look at Gendex. This is a homerun product that truly provides images that are second to none. Gendex introduces the all-new GXS-700™ intraoral sensors, designed to make migrating from film, or upgrading an existing digital system, easier than ever. Des Plaines, IL (May 14, 2010) Gendex today unveils the GXS-700 intraoral sensors at the California Dental Association Meeting in Anaheim. As the eighth generation digital sensor from Gendex, the GXS-700 system comes from a strong lineage of imaging excellence, raising the performance bar for other digital sensors. 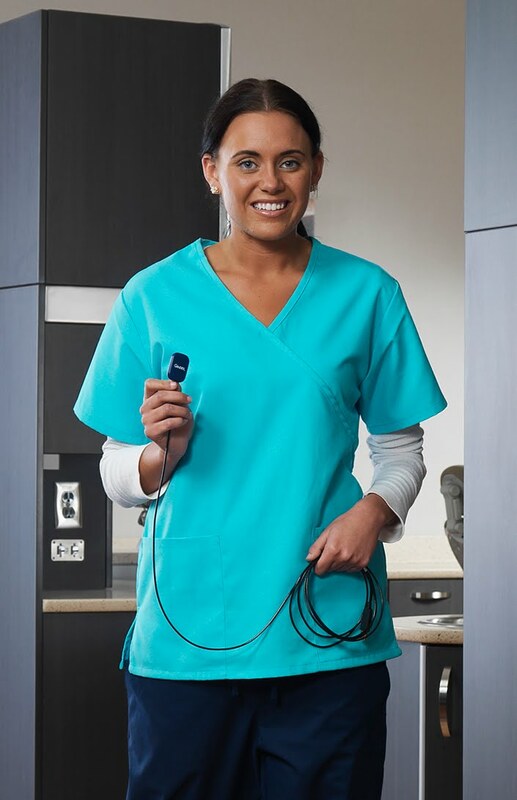 From enhanced image acuity and improved patient comfort, to portability, ease-of-use and product sustainability, these new sensors underscore the company’s desire and commitment to help advance dental practices with innovative and affordable solutions. 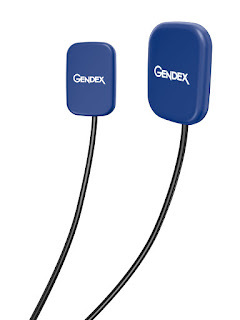 “Enhancing image quality to elevate diagnostic capabilities was our highest priority in the design of the GXS-700 sensors,” states Matt Reintjes, Vice President of Sales for Gendex. The sensor’s advanced CMOS sensor technology delivers over 20 visible line pairs per mm, and its small 19.5μm pixel size highlights the smallest details and emphasizes distinctions in density. The result: Brilliant high-resolution images. Offering the flexibility to meet the needs of all patients in the practice, the GXS-700 system is available in two ergonomically designed sizes suited for both children and adults. Rounded corners and smooth edge finishes comfortably fit the anatomical shape of the mouth. 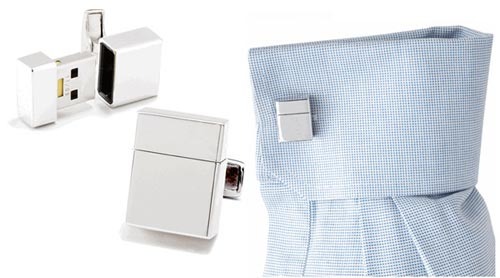 In addition, the durable materials and components used in the manufacture of this product increase its life span. Destined to become the dental office’s radiographic ‘Workflow Wonder,’ the GXS-700 sensors were engineered for smooth integration into practice management systems. As an additional time-saver, the unique ‘Always Ready’ technology automatically recognizes the presence of radiation; there’s no need to initiate image capture through the software. Plus, Hi-Speed USB 2.0 connectivity offers optimum portability—without controllers, adapters, or docking stations. The sensor simply plugs directly into USB 2.0 port on the computer for speed and efficiency. Dr. John Flucke, Technology Editor of Dental Products Report, notes that his initial reaction was “WOW!” He adds, “We were the first dental office on the planet to use this system in a live clinical situation and the entire staff marveled as the images appeared on the screen. Gendex has just raised the bar dramatically for digital radiography”. Gendex, known for its reliable, innovative, and affordable imaging equipment, offers a wide variety of solutions for both general dentists and specialists. The company’s strong history in x-ray manufacturing, along with a deep dedication to deliver products that exceed the needs of dental professionals, have earned Gendex recognition as a global leader. 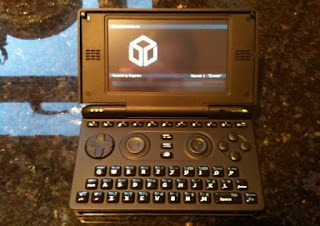 Learn more about the full line of Gendex products at www.gendex.com. For the next three days, I'll be at the California Dental Association meeting in Anaheim. This is a great meeting with fantastic weather, great exhibitors, and Disneyland right next door. In my free time I'll be taking a peak at the exhibits to see the latest and greatest dentistry has to offer. Of course, you can count on reading about it here. I've got plenty of ways to send out photos, Tweets, and blog posts. So if you can't make it to the meeting, you can experience part of it here. And if you ARE at the meeting, stop by the Gendex booth #2118 and say hello. I'll be there all weekend and would love to see old friends and make new ones. Sometimes you see something and it just grabs you... and for me, this is one of those products. When I was a boy, my favorite super hero was Iron Man. I read the comics and dreamed of one day being Tony Stark. Of course like doesn't always turn out the way you want it to, so instead of being a gazillionaire industrial genius, I work in spit for a living. But... I can still dream and this little gadget can help me. The picture is the Iron Man jump drive. You remove the little guy's head and there is a USB connector under the helmet. You just plug it into your USB port and you're ready to backup and/or transport data. Even better is that this little gizmo can pack some serious storage. It's available in sizes up to 16GB for $59.99 That's a ton of storage that will fit in your pocket! If you're interested check out Tyme Machines where you can also order similar drives featuring some of your favorite Star Wars characters. By the way, in a battle who would win... Darth Vader or Iron Man... discuss. I research and test composites and curing devices on a regular basis. I can tell you from personal experience that there is much more to placing these restorations than you could ever imagine. To that end, Dr. Corky Willhite and Cosmedent are putting on a composite continuum. Three weekends of education that will give you more information on composites than you knew existed! 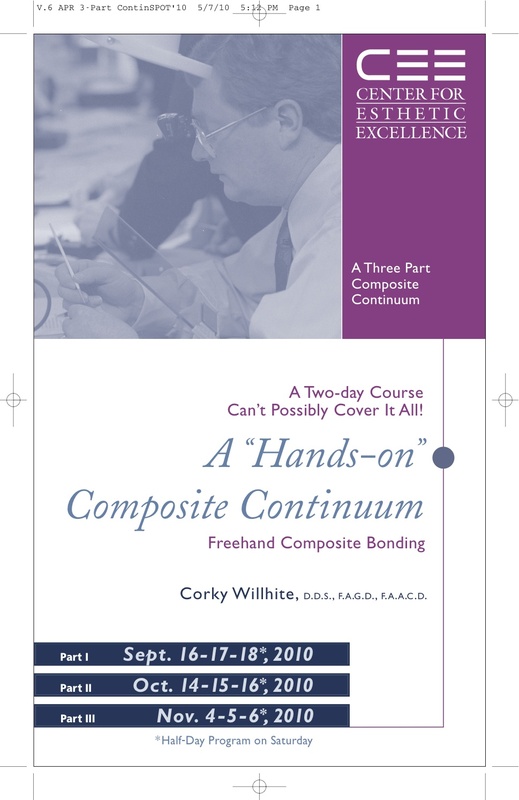 A three part continuum on freehand composite bonding will be presented by Dr. Corky Willhite at The Center for Esthetic Excellence (CEE) in downtown Chicago. Everything you need to know about direct resin technique is covered in this 3-part continuum from “A” (case selection) to “Z” (how to maintain the beauty of your restoration for many years). Part I will be held on September 16-17-18, 2010, Part II on October 14-15-16, 2010, and Part III on November 4-5-6, 2010. For more information or to register for the most helpful anterior bonding course in the country, call us at 800-837-2321 or visit the CEE at www.cosmedent.com. Google will be rolling out an update on Wednesday and to commemorate it they are also changing the logo a bit by doing away with the shadowing. I must confess that I've always like the shadowing and think the new one looks stark and dull, but it's not my decision now, is it? The Google site overhaul will basically give lots of options down the left hand side of the search page that will tie in other potential points of interest with whatever the search topic happens to be. This is the first serious overhaul that Google has done in some time. However, it may not seem so new to some as Google has been using the new design in beta with some users for almost a year. They have said the rollout will be done over time, so you may not see it immediately, but you will. Google does not take changing their design and layout lightly so I'm anxious to see how much more usability the site provides me. With all the talk about the iPad lately, I thought I'd provide this bit of info. While the iPad seems to be a great device and is first to market, there is a wave of products coming that will compete with the iPad. Are they better? Only time will tell, but it's definitely going to be an interesting year as the "tablet wars" heat up. You know, you can show all you want with numbers, but sometimes nothing gets the point across better than your eyes. In order to show how fast Google Chrome loads pages, they've pitted their browser... and a screaming Internet connection... against a variety of speedy competitors. 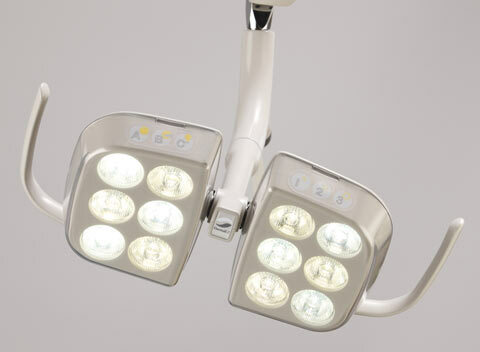 Cypress, CA (May 4, 2010) – Dentium USA, a premier manufacturer of dental products developed by clinicians for clinicians, recently introduced its latest development for producing excellent dental implant outcomes, the SuperLine™ dental implant system. The SuperLine™ dental implant system adds more diversity to Dentium’s original ‘Implantium®’ dental implant system which has over 10 years clinical experience. SuperLine is expected to bring excellent initial stabilization and osseointegration especially in soft bone cases and in sinus graft with implant placement cases. The advanced design of all SuperLine implant products provides many advantages over other dental implant products currently available on the market. The tapered body design of each SuperLine dental implant provides great initial stability and excellent bone expansion response for reliable and easy installation. The tapered design creates an extremely stable, yet comfortably placed implant that provides excellent integration with surrounding bone anatomy. Each SuperLine dental implant encompasses Dentium USA’s S.L.A. (Sandblasting with Large grit and Acid etching) surface treatment that facilitates the osseointegration process with a high predictability of success and provides more complete bone-to-implant contact throughout each and every thread of the implant, producing a well-attached base for successful osseointegration. All implant diameters of the SuperLine share the same internal hex, like ‘Implantium’. The biological connection contained within the implant creates an even distribution load to the fixture, helping to minimize micro-movement and marginal bone loss. Furthermore, the conical hex connection between the implant and abutment interface ensures greater hermetic sealing and provides an improved tactile sense, helping to confirm a more stabilized abutment seating. The double-threaded design of SuperLine dental implants reduces implant insertion time, therefore decreasing total chair time during the implantation process. The greater distance between the threads of the implants also helps promote early osseointegration, while the increased thread height helps augment initial stability. Because all SuperLine components are equipped with a true single platform, only one abutment connection is used for all implants, reducing the need for multiple prosthetic components and simplifying the entire surgical and prosthetic procedure. The all-inclusive SuperLine implant system offers a wide variety of implant diameter and length options for each individual case. For more information, please call 1-877-304-6752, e-mail info@dentiumusa.com or log onto www.dentiumusa.com. Located in Cypress, California, Dentium USA is the worldwide manufacturer and distributor of Implantium® and SuperLine™ dental implant systems. The company also provides a full line of prosthetic equipment, lab components, and surgical instruments. Because all Dentium products are created by working dental clinicians, they are easy to learn and use, cost-effective, and are of the highest quality. For over a decade, Dentium USA has been establishing itself as a global leader in the dental industry through vigorous research and development, state-of-the-art products, unrivaled customer service, and creative innovation. Curve Dental, Inc. Completes Acquisition of Orasphere, Ltd.
For years, I've used Orasphere to help educate my patients. It features amazing graphics and very explanatory videos that help to explain treatment. I'm also excited about the possibilities of Curve Dental and their Curve Hero software. Needless to say, the combining of these two companies makes for an exciting announcement in the industry. OREM, UT—Curve Dental, developers of Web-based dental software announced the completion of their acquisition of Orasphere, Ltd., a developer of dental patient education videos that can be viewed on a dentist’s website, computer, on DVD, or on an Apple iPod Touch. Curve Dental will continue to sell Orasphere as a stand-alone dental patient education system via the Orasphere website at www.orasphere.com. The system is available in four different formats: DVD, PC, Web, and iPod Touch and includes more than 72 different videos in 13 categories. The Orasphere library was developed by Drs. Stacy Hunt and Tom Gallivan, who are both dentists. 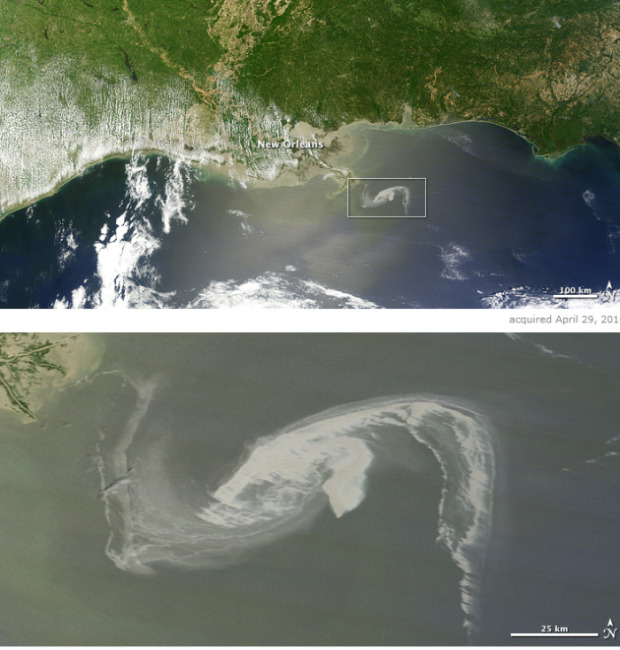 Thanks to Crunchgear for the photos, this is what the gulf oil slick looks like. Scary? You bet, especially if you notice how close it is to the gulf coast. Here's hoping the federal government decides to do something quickly. This update alerts users that Nihon Kohden (NK) and GE Responder models are also affected although they were not identified in earlier communications about this recall. In addition, Cardiac Science issued a software upgrade for the devices’ self tests on 02/24/10 for the Powerheart automatic external defibrillators (Models 9390A and 9390E) and is planning on issuing a similar software upgrade for other affected devices. However, FDA’s review of the updated software indicates that it detects some but not all electrical component defects. Normally, users of these devices should always check the status indicator on the front of the external defibrillator and/or audible indicators to see whether the device is rescue-ready (green light is displayed). However, the presence of a green light on the affected devices may not reveal defective or non-working components inside the external defibrillators and give a false sense that they are in proper working order. The affected AEDs were manufactured and distributed between August 2003 and August 2009.